Everyone loves lego. I have yet to see a kid who doesn’t. In fact, I have yet to see an adult who doesn’t love building with lego. There is just something irresistible about these piles of colorful building blocks. They really ignite the imagination and bring out the inner sculptor or architect in us all. The problem with original lego is the price. Yes, they have amazing sets with awesome themes and unique pieces. Like this LEGO Minecraft The Iron Golem set which I have blogged about before. Still, there’s nothing quite like a huge pile of simple lego building blocks without any theme or “story”. These can really let a kid’s imagination take over and encourage creativity. Paying for a specialized themed set is one thing. Having to pay for super-simple plastic blocks is another. Yes, they need to be quality bricks. You want them to have the perfect fit so they can hold tight and be easy to work with. Lego used to have an advantage there decades ago. 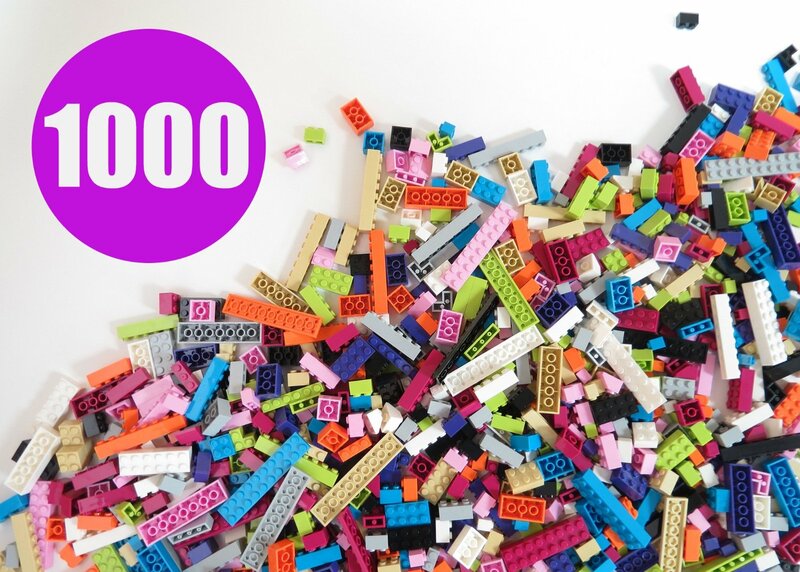 These days, better technology means other manufacturers can make high-precision lego-compatible bricks for a fraction of the cost. For us parents, this means we can get our kids the full building experience, mixing compatible bricks with the originals. Huge savings and same amount of fun. 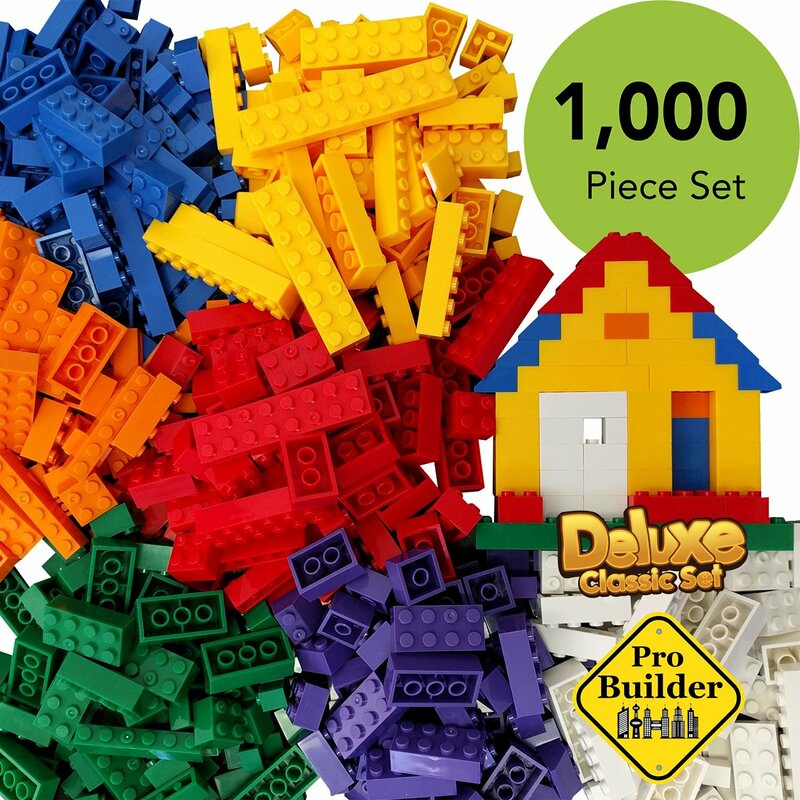 For under $30, you can get 1000 pieces! They are not 100% identical to lego bricks but they are 100% compatible. Which means colors can slightly vary from the originals. There’s also a small notch in each block, I can only guess this is for copyright issues. These traits are not problems though. You can still absolutely build great structures with these blocks and you can also mix and match them with your lego sets. Check out the reviews – families love them! And yes, right now this set is also priced at under $30! These sets do not include doors, windows, people and other unique items. They do include a variety of sizes and a LOT of bricks. These make an awesome gift for boys and girls aged 4-11. They’re going to love these and will probably dive right in as soon as their gift is unwrapped! My bet is the grown-ups in the room are going to be joining them too!